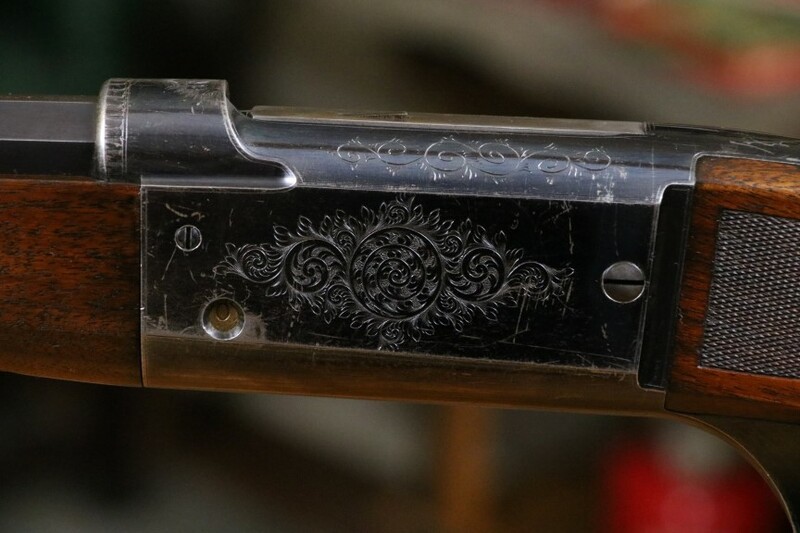 Factory A Engraved Savage 1899 .303 Savage caliber. 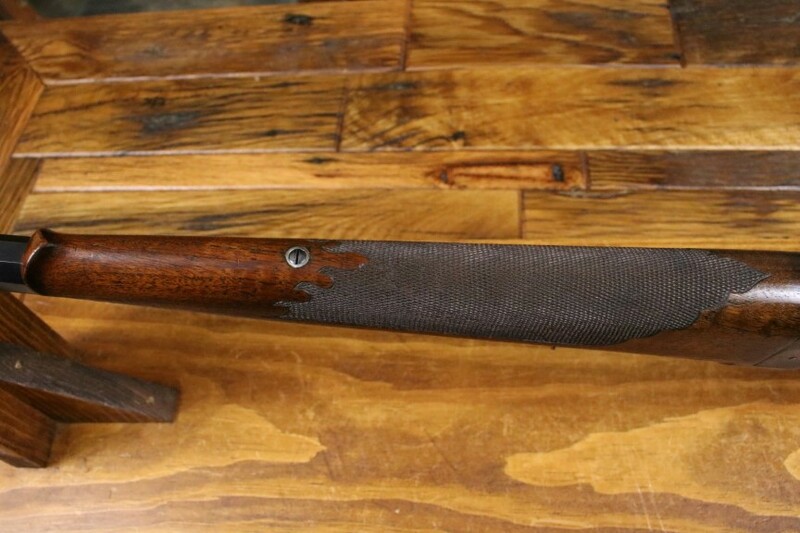 26 inch Octagon Rifle serial number 29.690 There are very few factory engraved Savage 1899s on the planet. 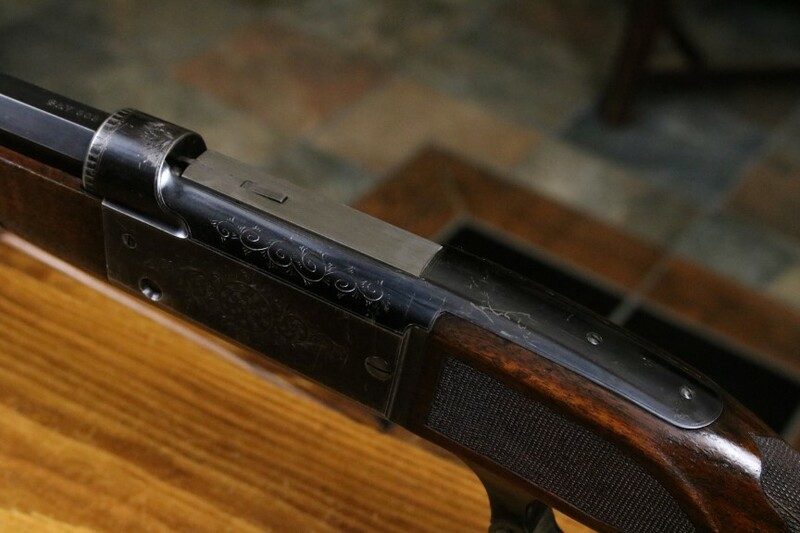 This one is factory "A" engraved and has the "Leader" wood. 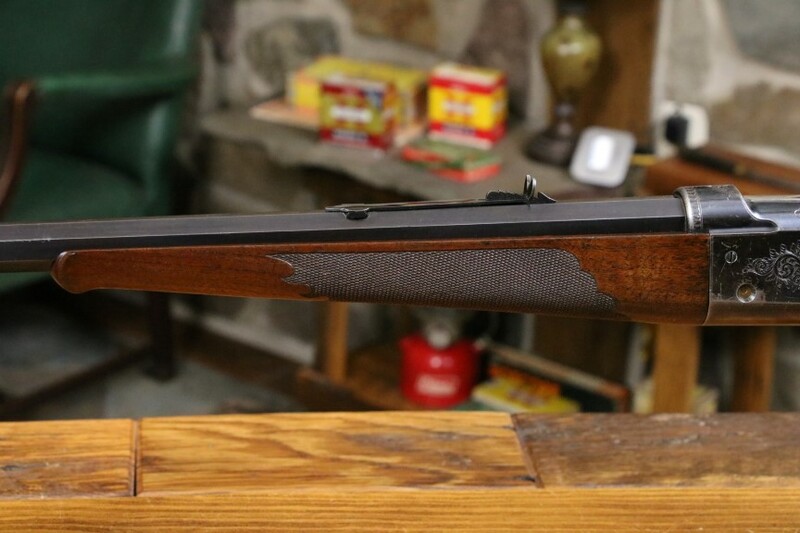 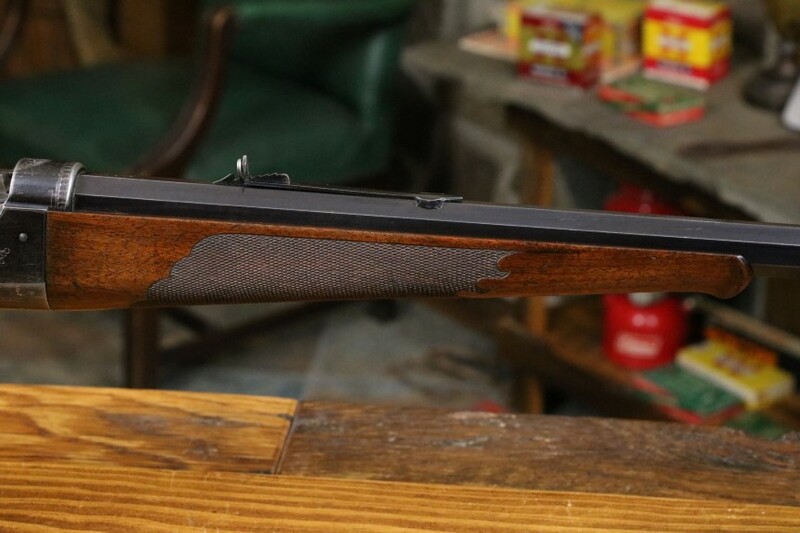 This Savage was made in 1902. 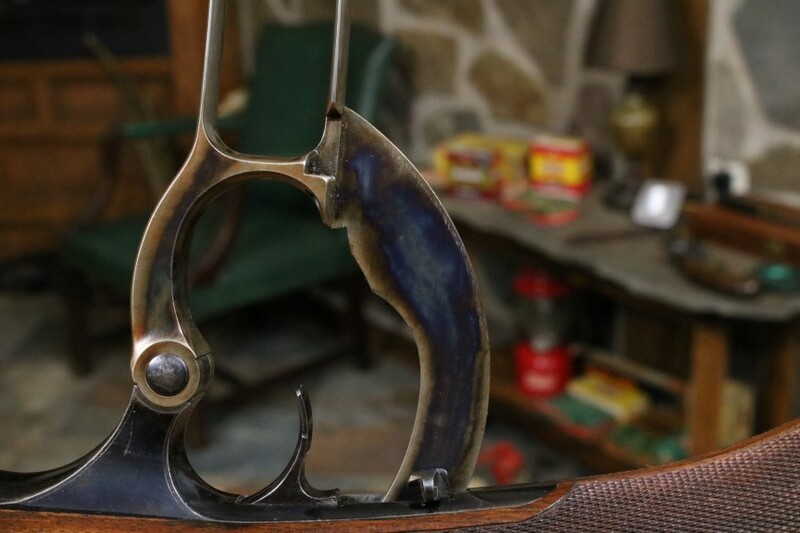 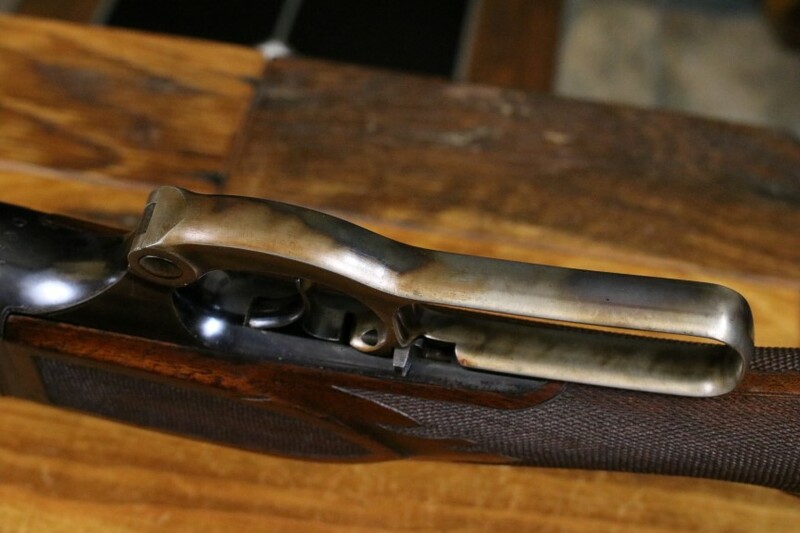 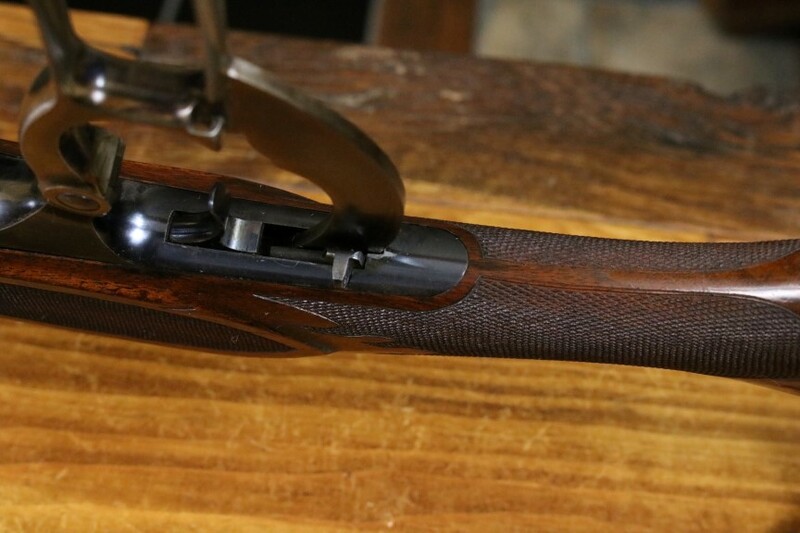 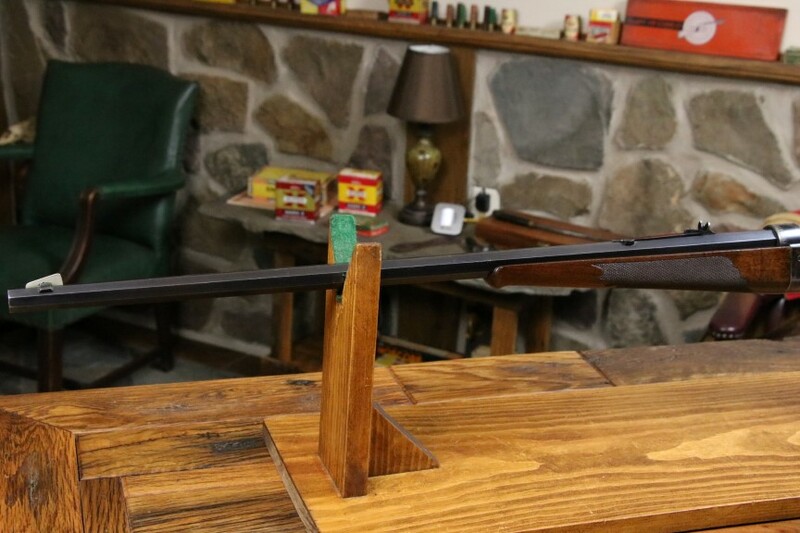 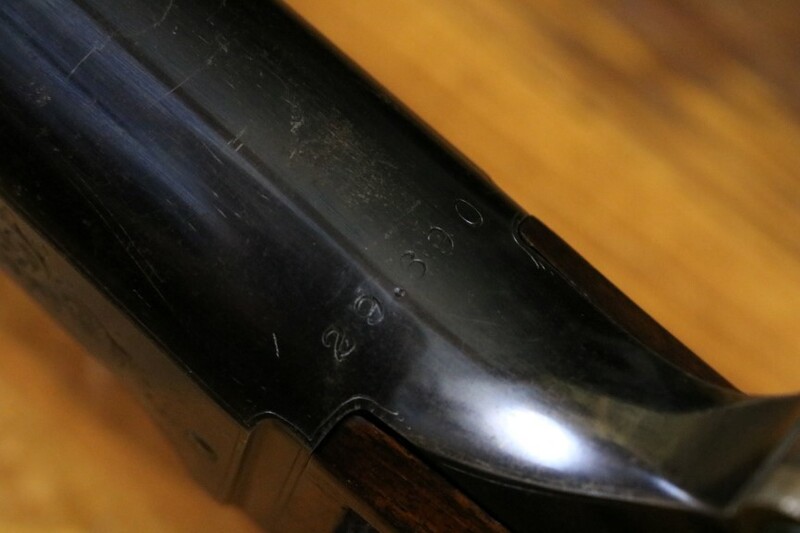 The rifle is in fantastic original condition considering its age of 116 years. 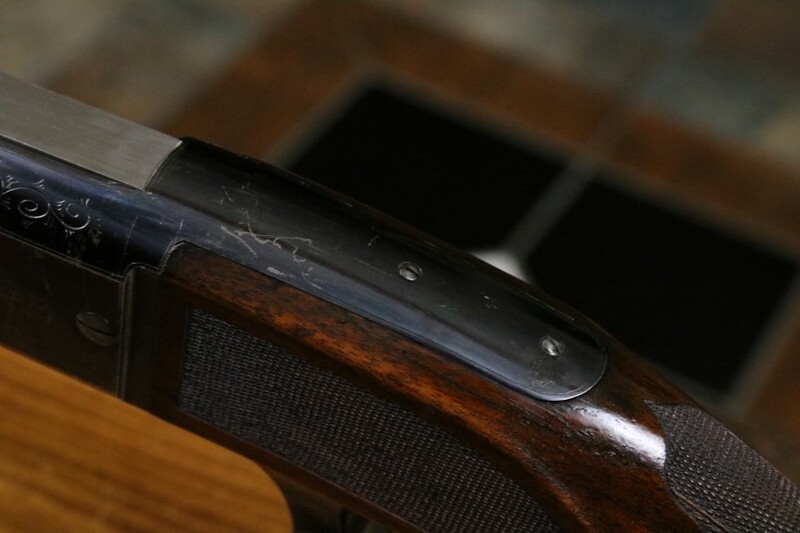 Excellent receiver and barrel blue with some light high edge wear and use marks but certinly nothing major. 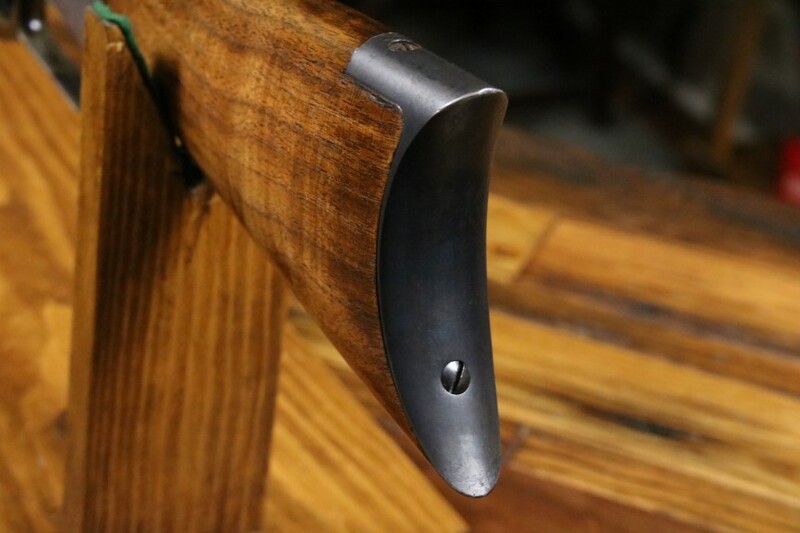 Sharp original Leader or Flame style checkering on the Deluxe stock and fore end. 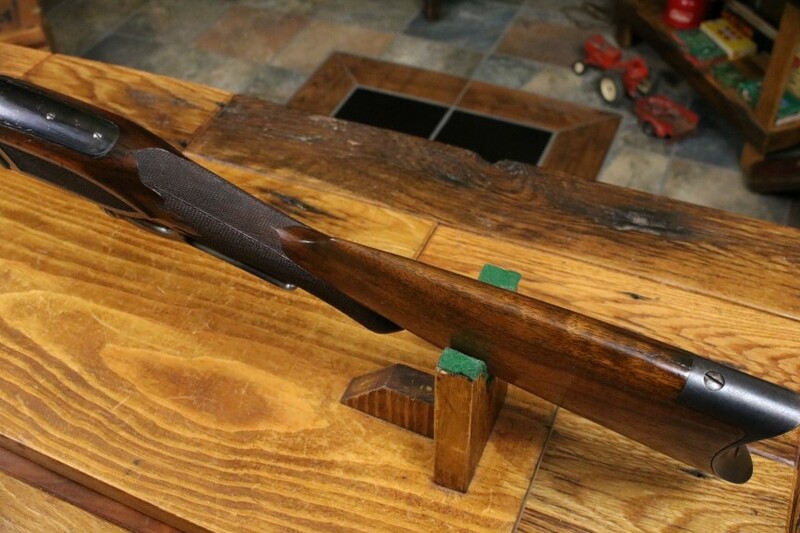 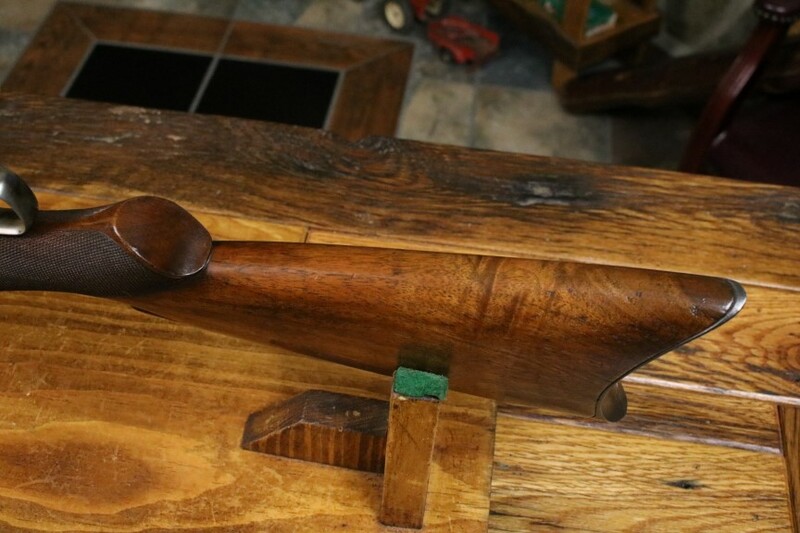 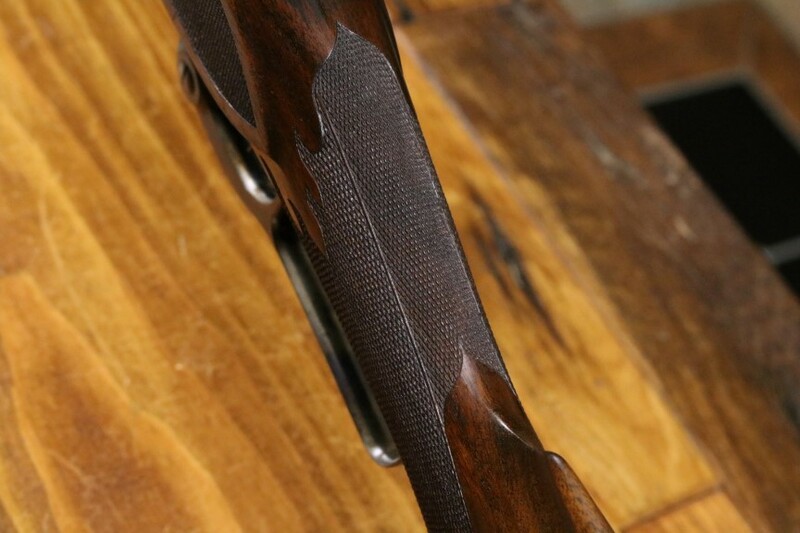 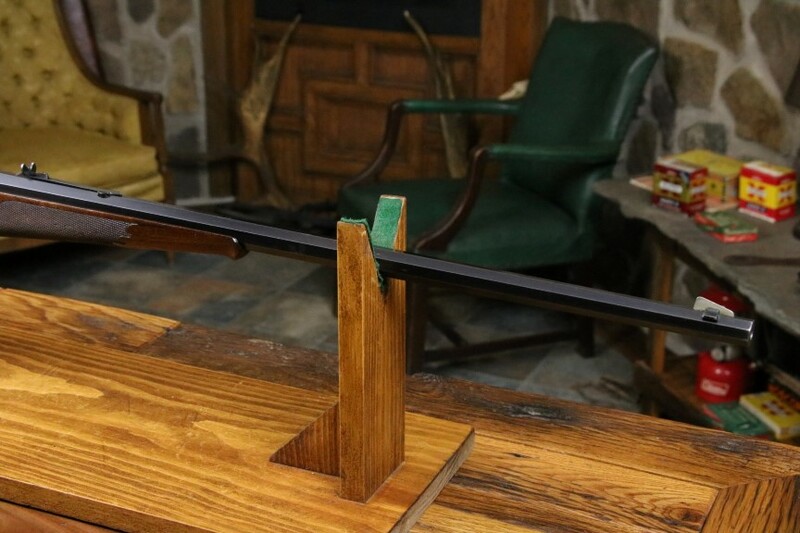 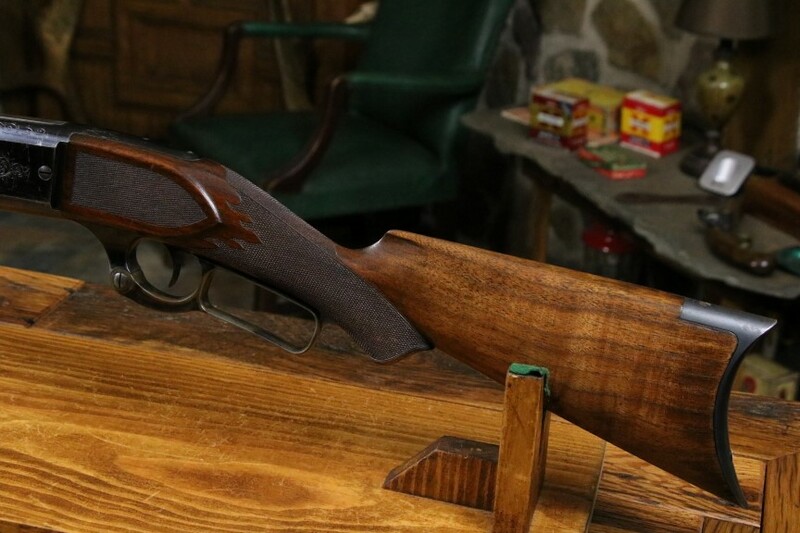 The wood finish looks to have been lightly re-oiled long ago and is strong with some light handling marks. 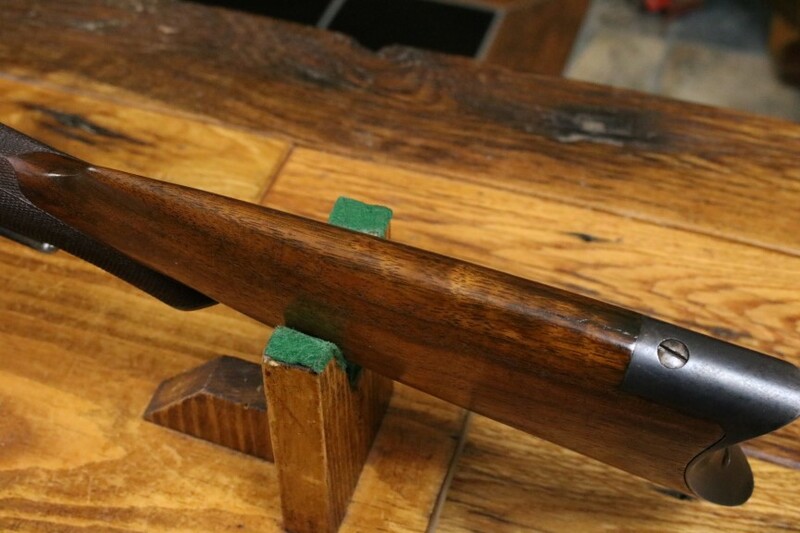 Excellent original checkering with flame and ribbons that was never freshened or recut. 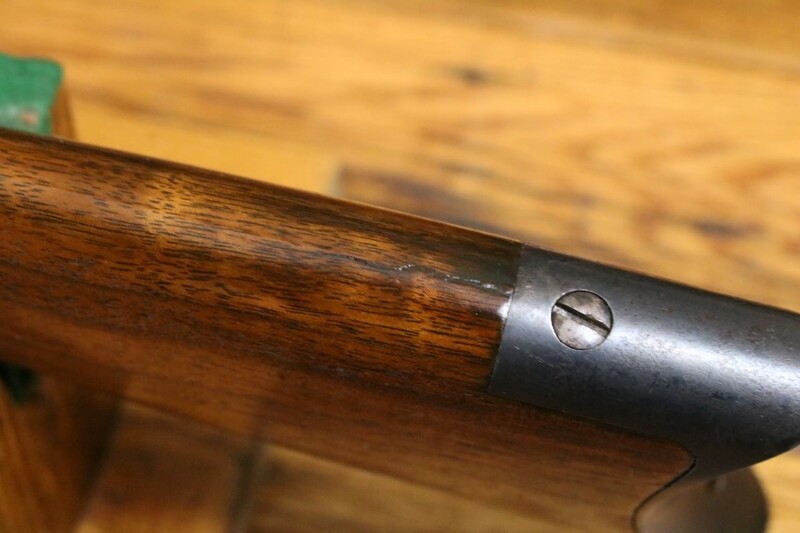 There are NO extra holes of any kind in either the wood or metal. 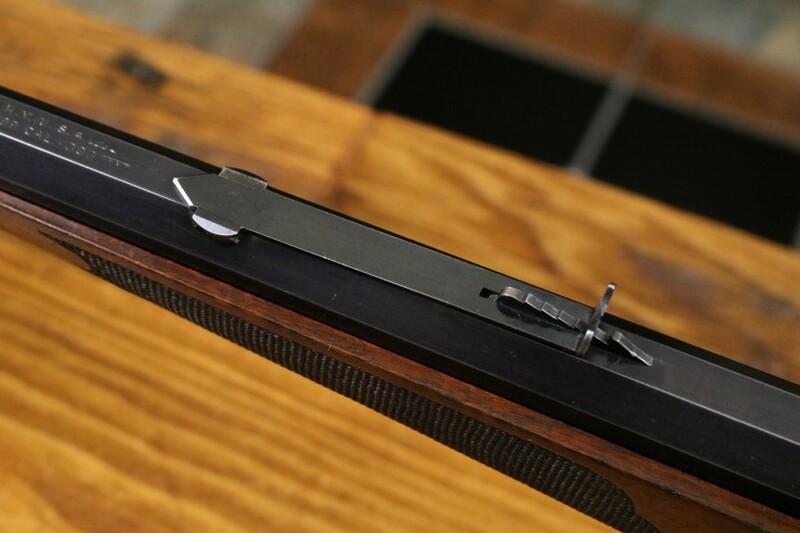 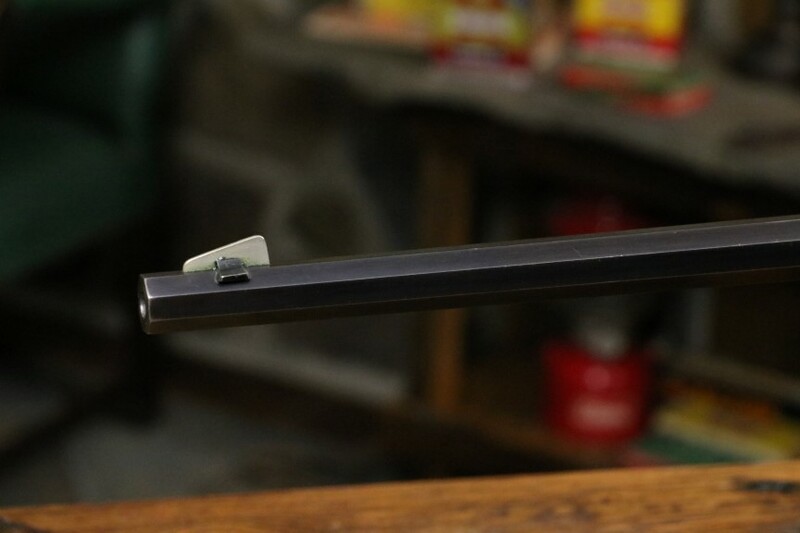 The original open sights are present including a very cool "Rocky Mountain" front blade of German Silver. 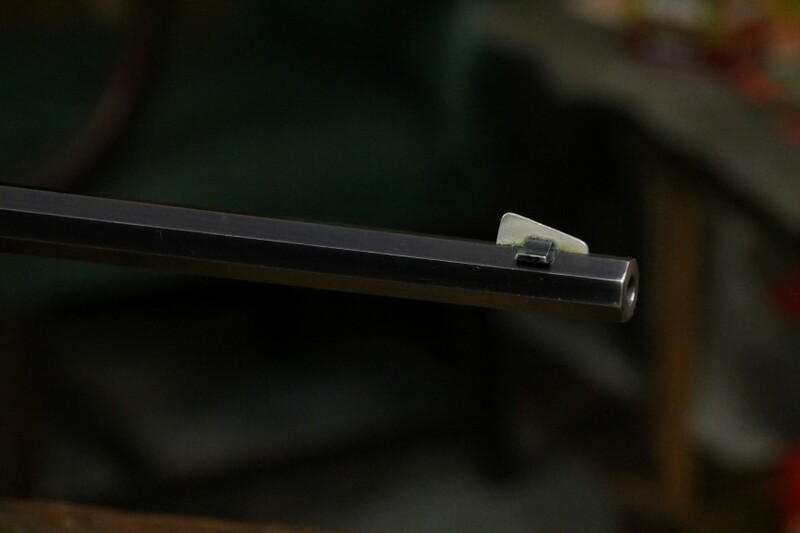 There is strong case color on the lever. 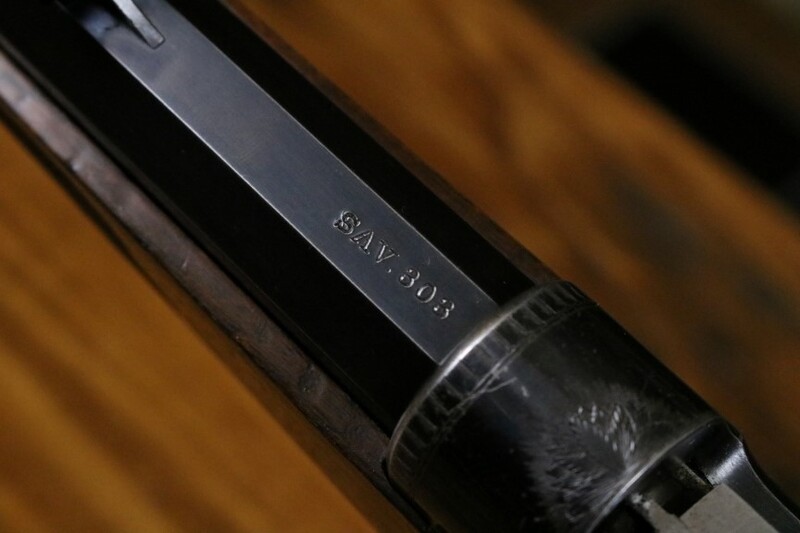 Excellent screws and sharp factory A style engraving. 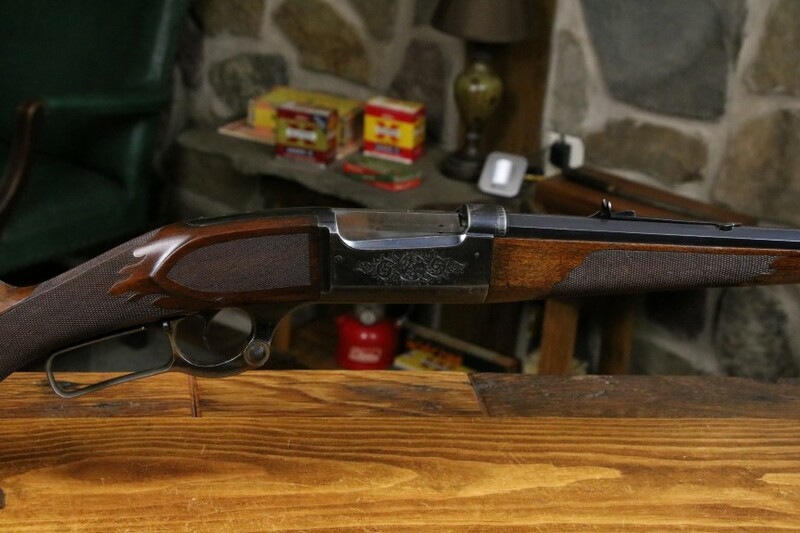 The bore is really nice, an 8 out of 10. 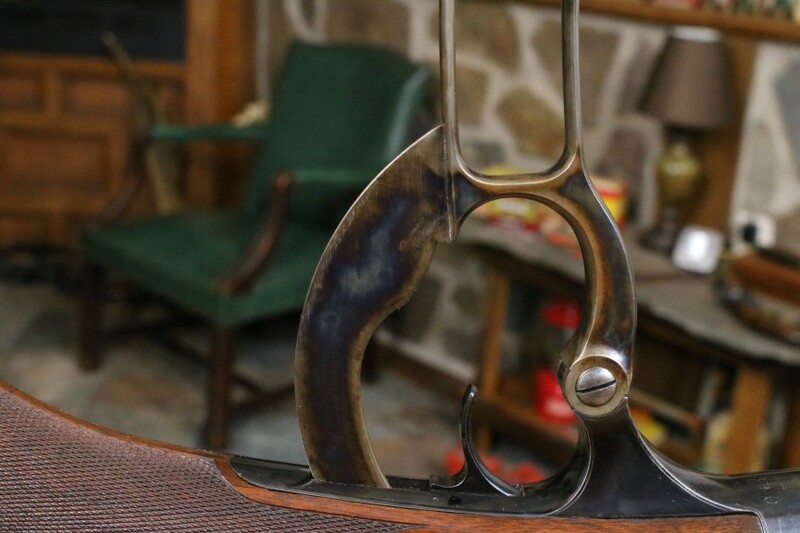 Mechanically excellent. 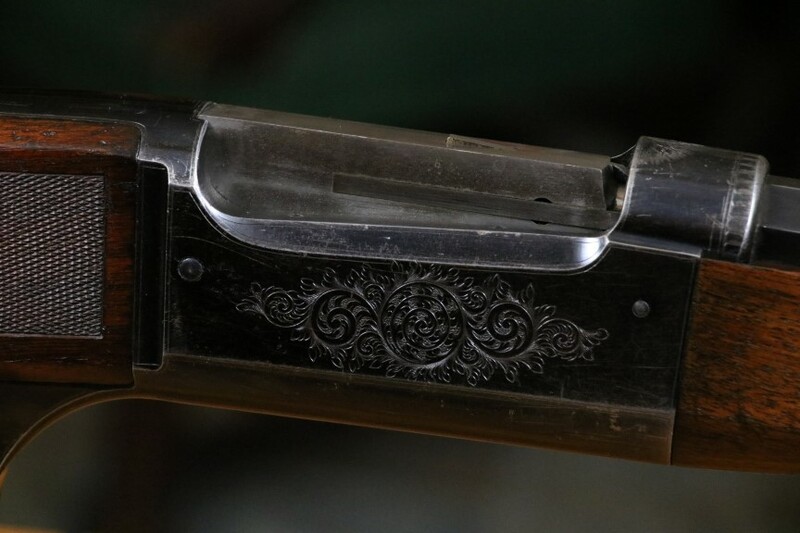 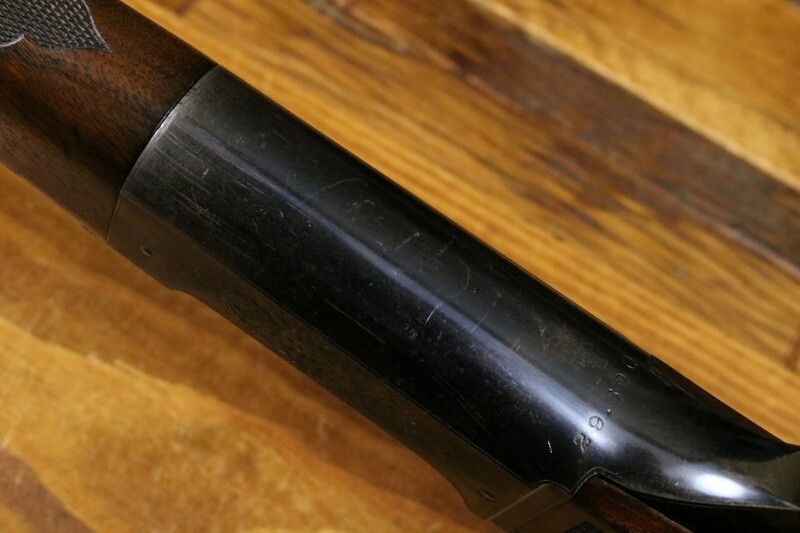 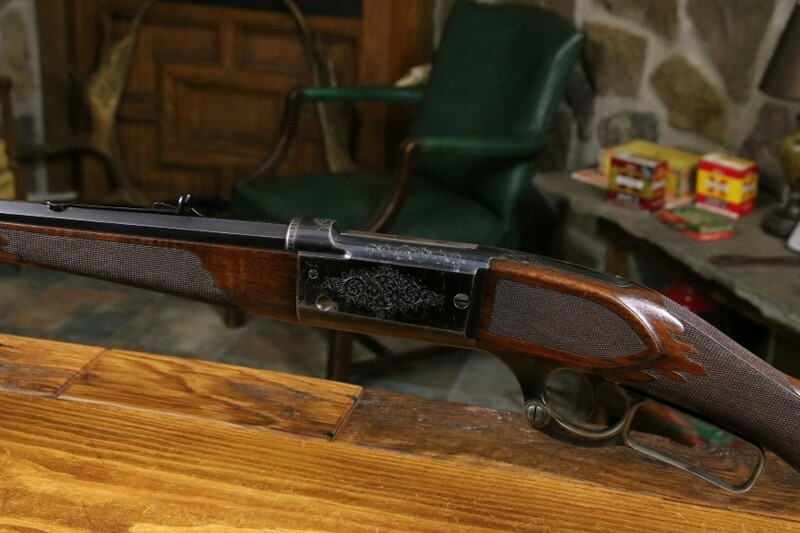 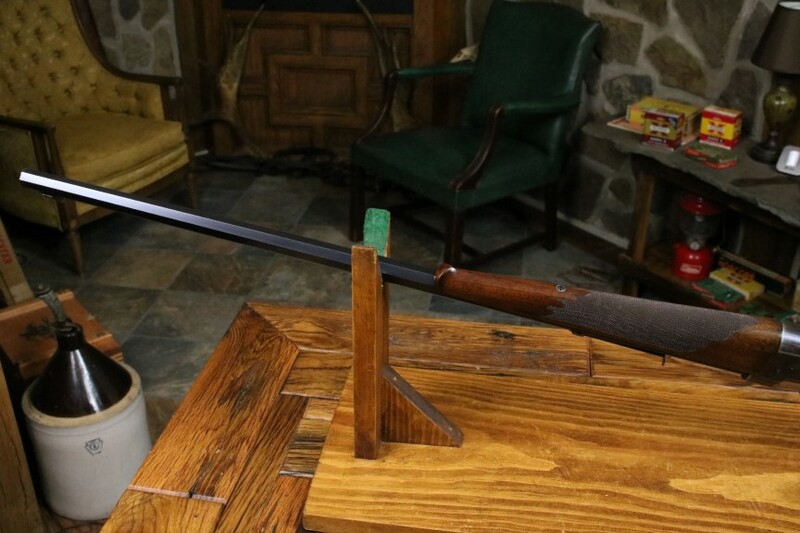 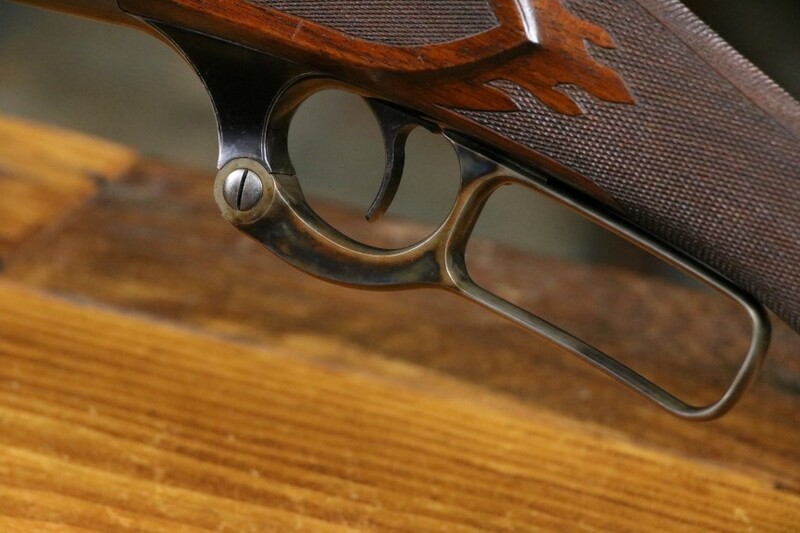 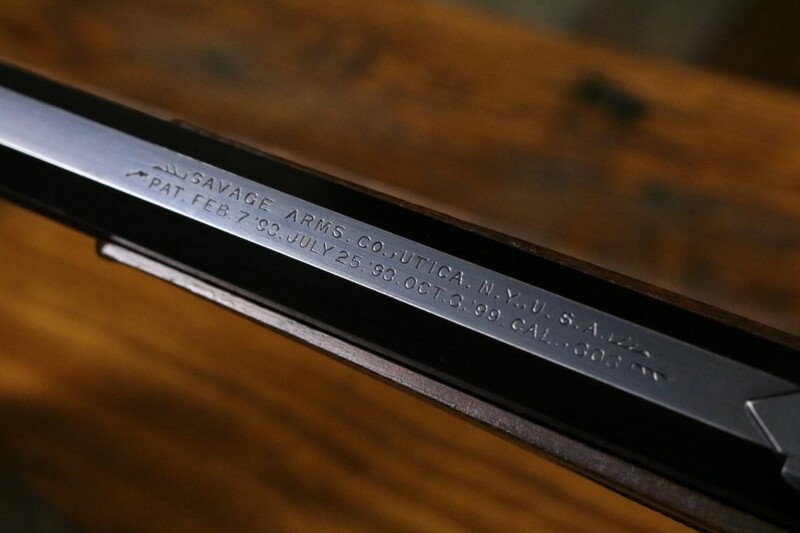 There were fewer than 1000 engraved Savage Model 1899's made in all grades. 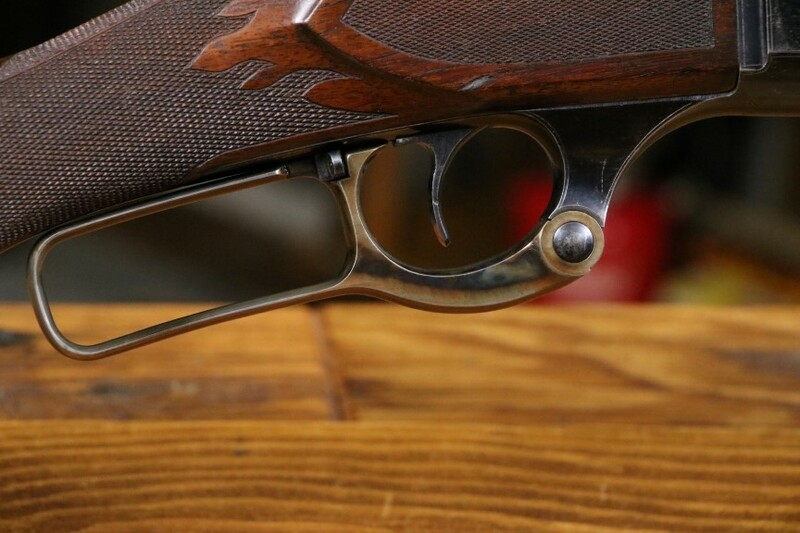 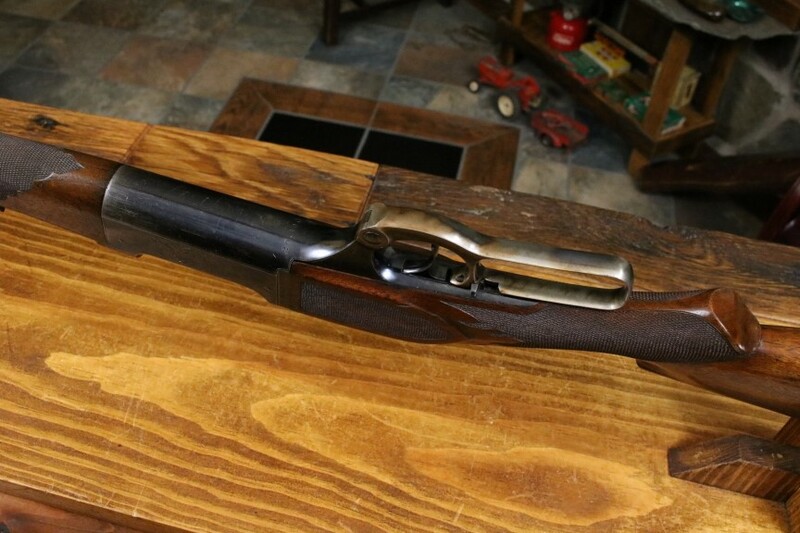 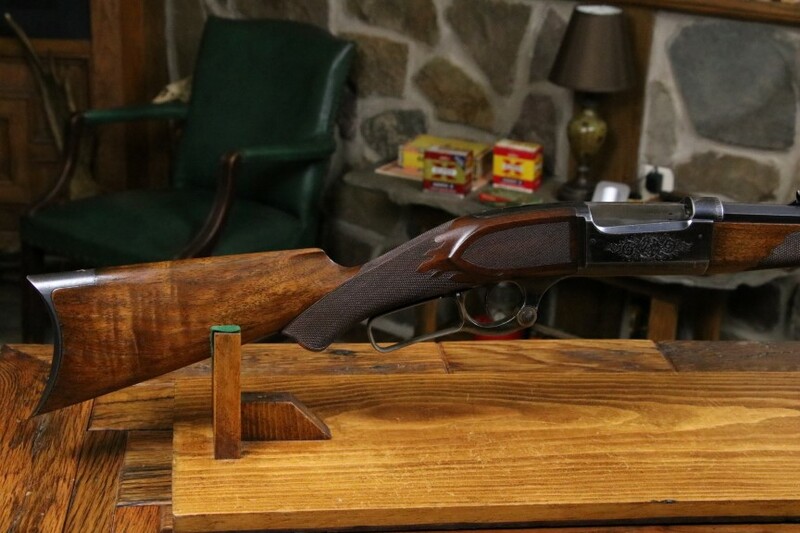 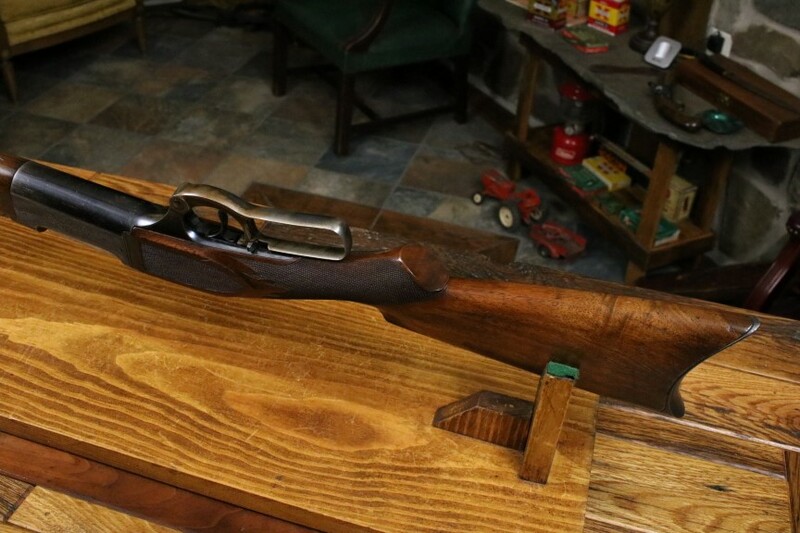 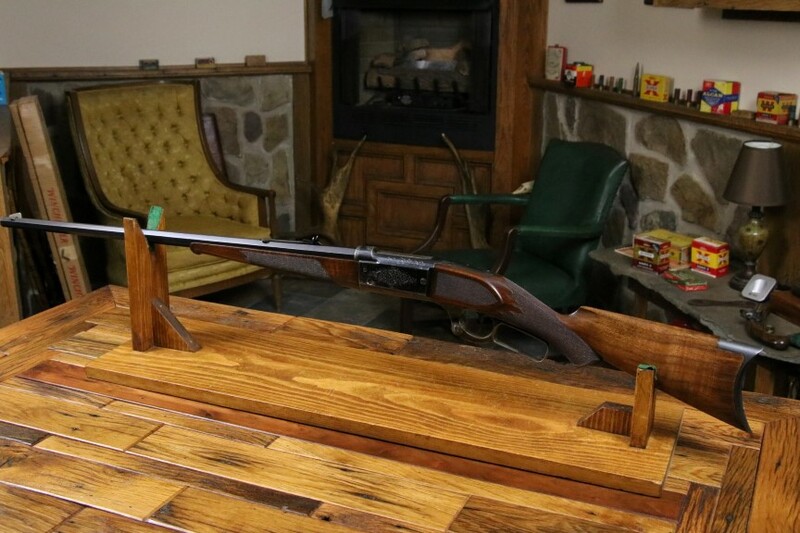 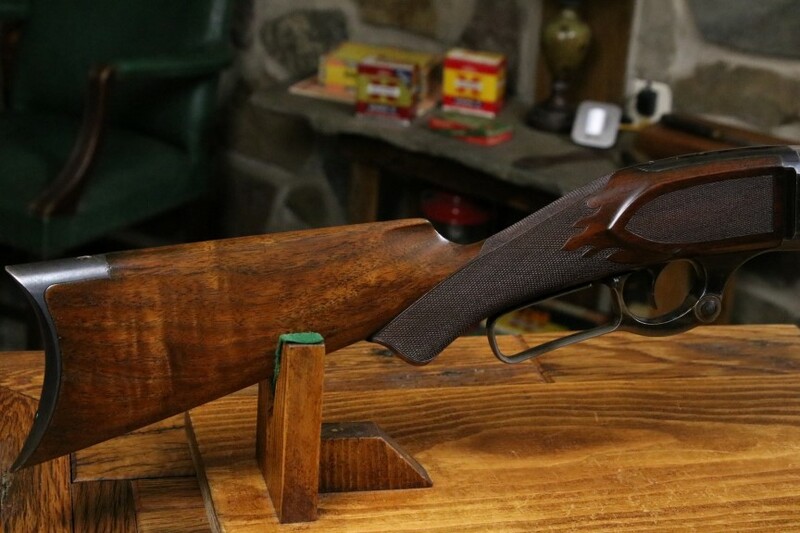 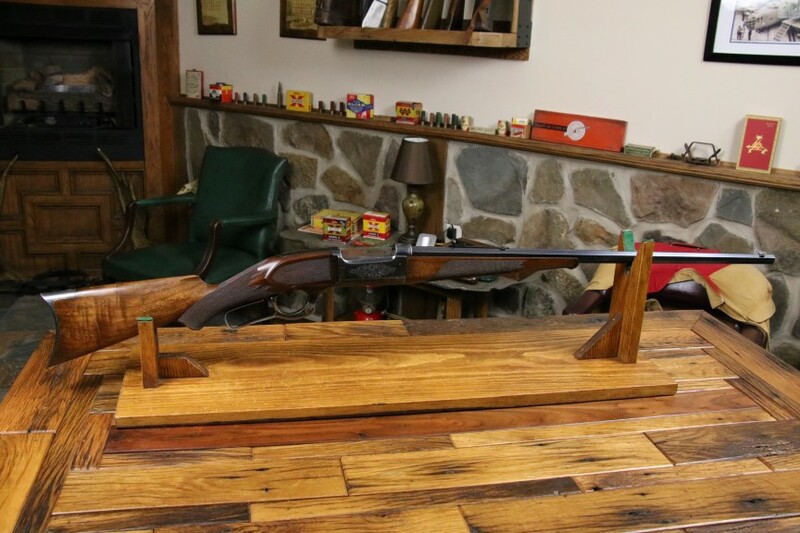 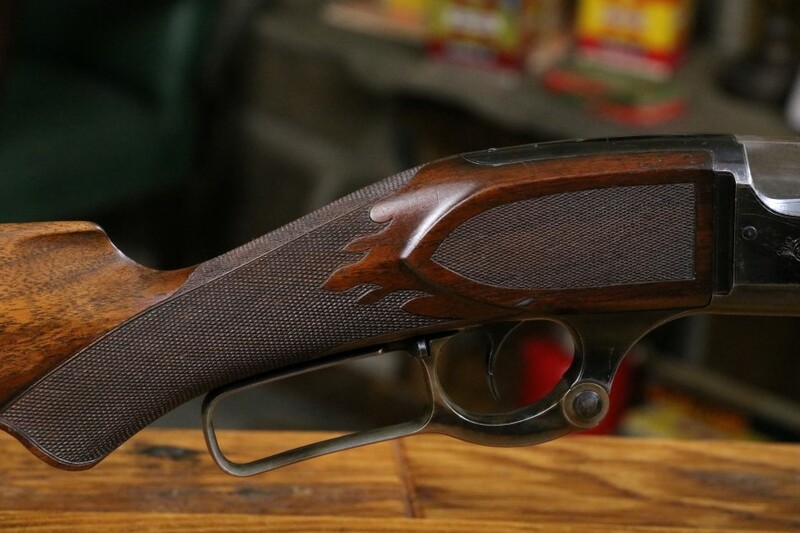 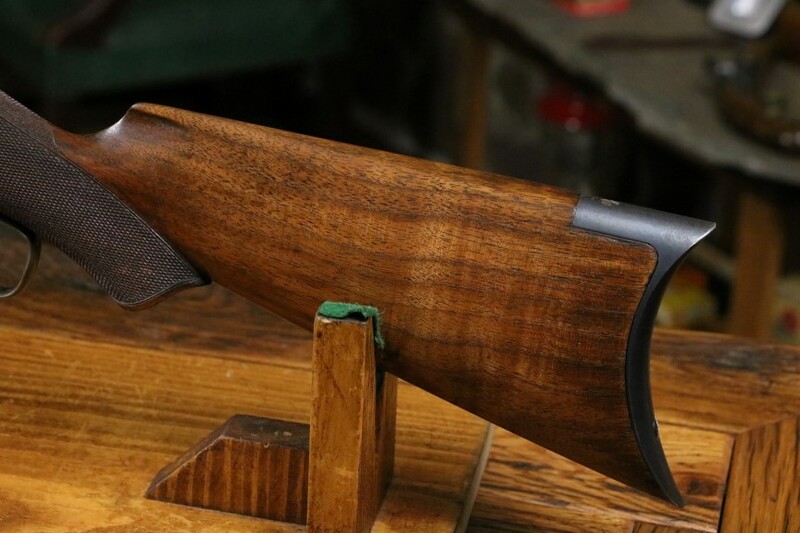 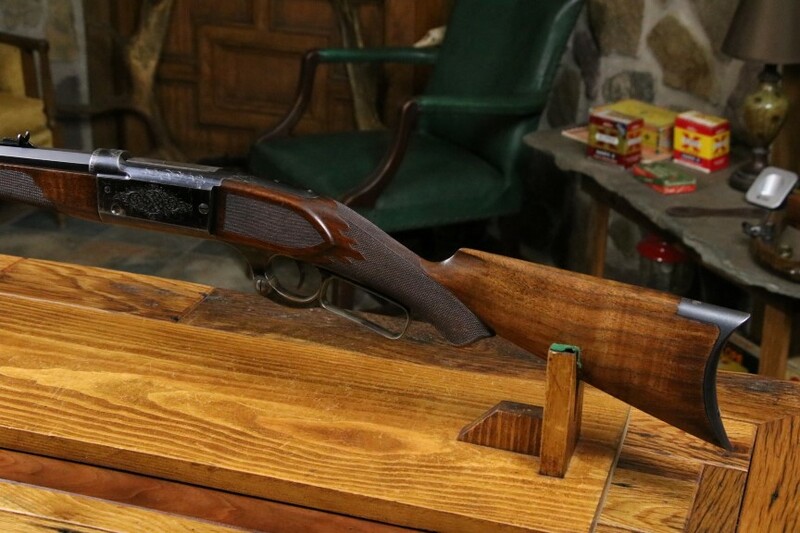 This is a rare opportunity to put this fine investment quality firearm in your collection and to take it for a walk in the deer woods on occasion. 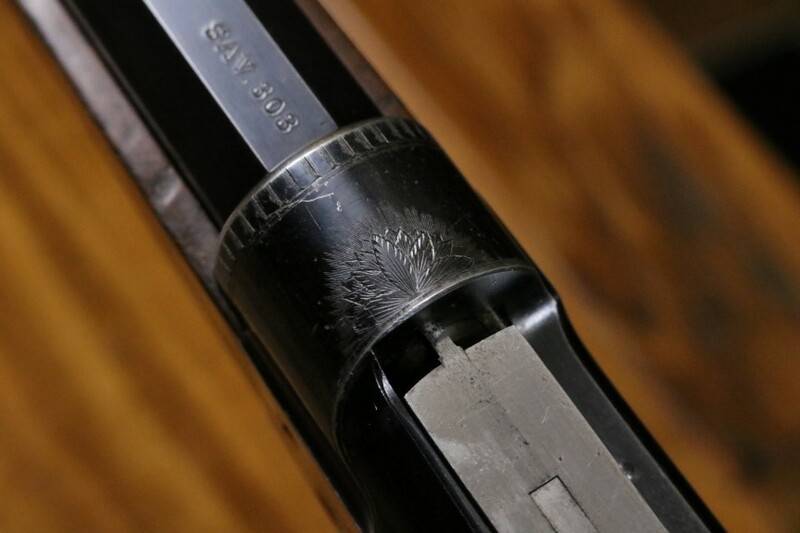 This is a fantastic and rare special order 1899.